OBLIVION by Jennifer L. Armentrout is LIVE TODAY!! OH! EM! GEE! GUYS! 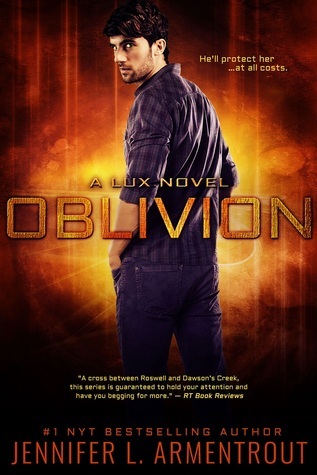 I am so excited for Oblivion by Jennifer L. Armentrout! I read through the entire Lux Series in like two weeks at max. This book is from the point of view of Daemon Black. However it isn’t a direct retelling of the Lux Series. It has new, never before read material- things that Katy doesn’t know. Go buy this book! OBLIVION is LIVE today! Grab your copy, snuggle in and #GetInvaded with Daemon! OBLIVION is a Young Adult Paranormal Romance being published by Entangled Teen, and is a part of Jennifer L. Armentrout’s New York Times and USA Today bestselling LUX Series. It is being released on December 1st, 2015. The eBook includes two bonus books from Daemon’s POV, as well as original music inspired by OBLIVION embedded in the eBook.